And we are back to Birthdays! I wanted to squeeze in one more post before hitting the hay. (Retroactive chain-blogging, it’s all the rage, you should really try it.) 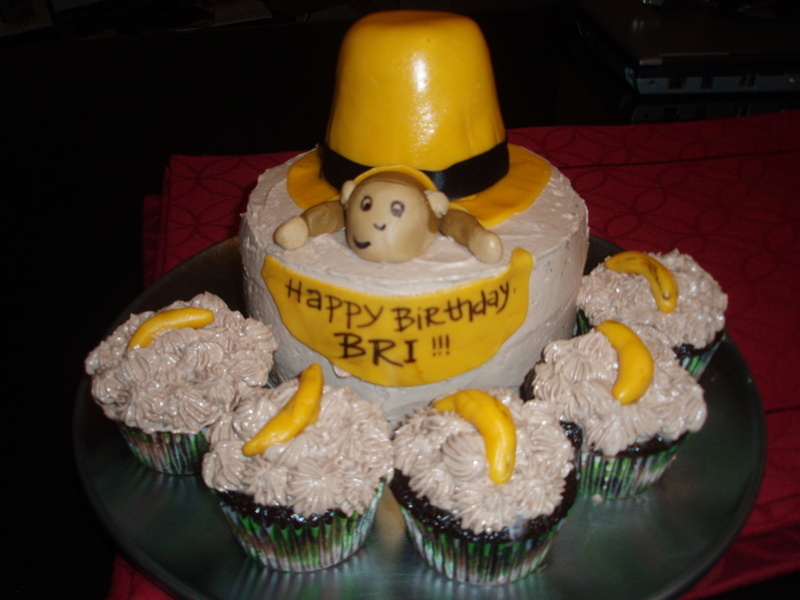 It was that time for the annual celebration of Bri Joy, and I was itching to make a cake that didn’t really resemble anything, but focus more on the ingredients. 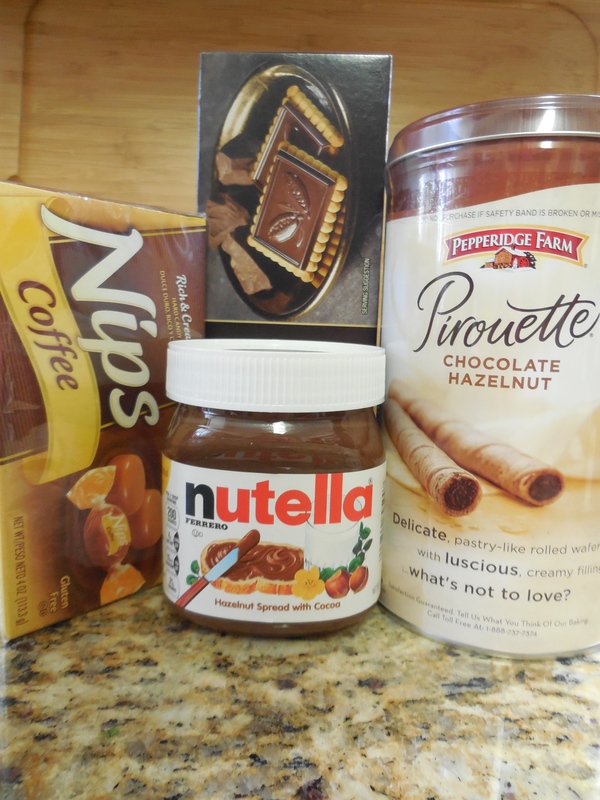 Bri loves Nutella- inspiration hit, and off I went! The lineup: Caramel-coffee Nips candy, Chocolate biscuits, Pirouette cookies, and the star of it all: a brand spanking new jar of Nutella. What do we have here? 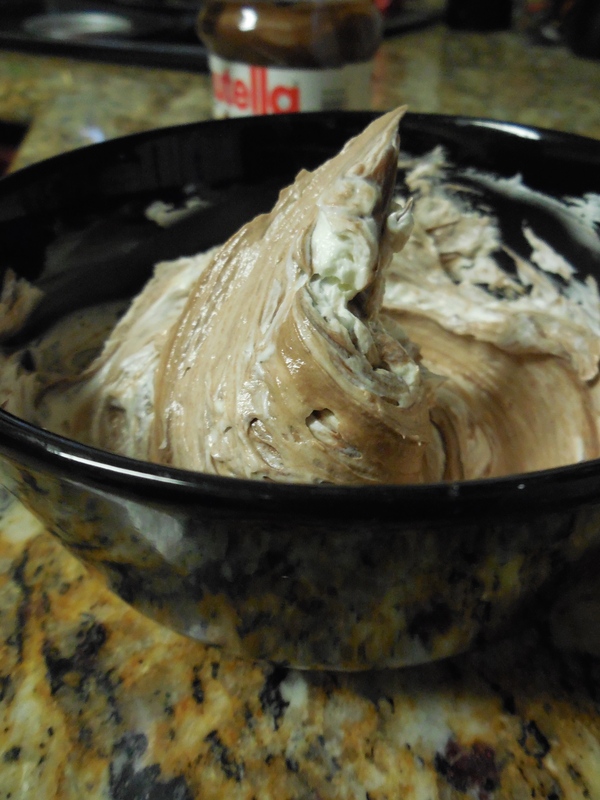 Yup, mixing Nutella into some Swiss Meringue Buttercream. (It really is my favorite buttercream to both eat and work with). 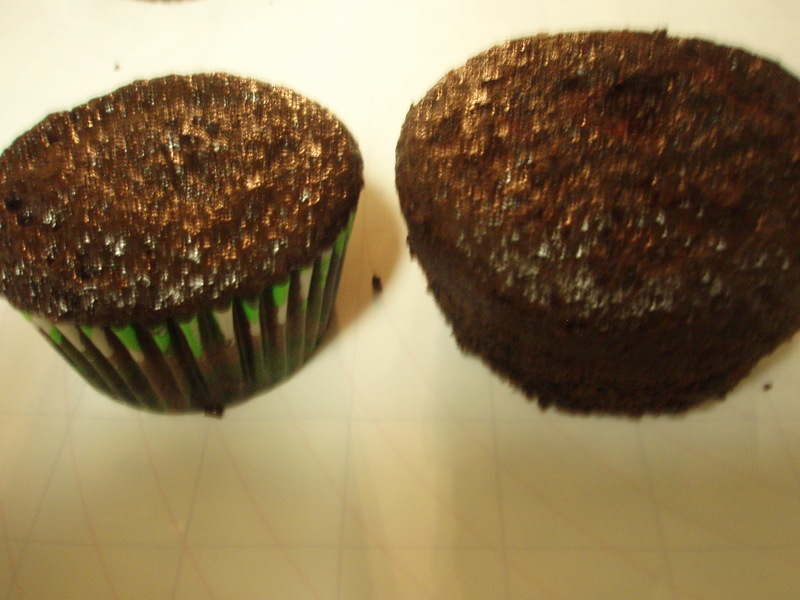 It holds up well once refrigerated and tastes light but rich. Folding Nutella into the buttercream! 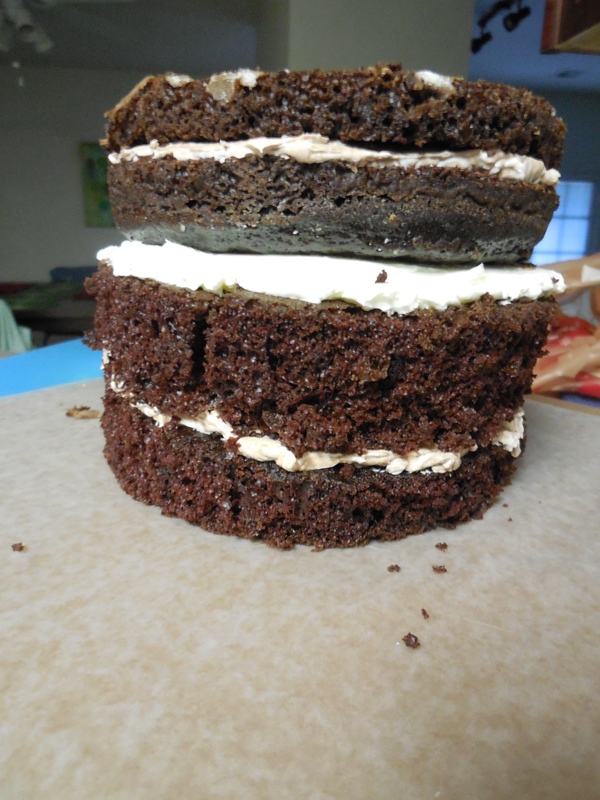 Stacking the cake- I chose to make my go-to chocolate cake recipe that is both moist and holds up well without being too dense. 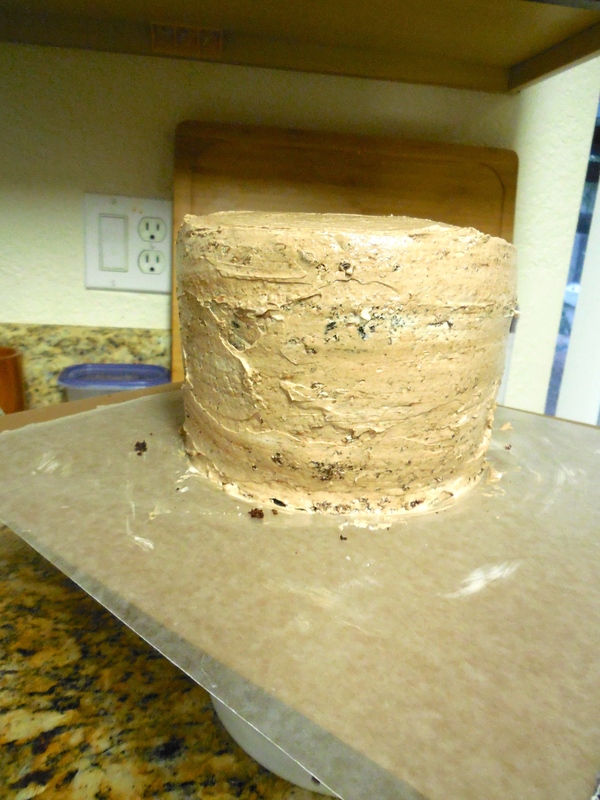 I wanted a taller skinnier cake, so went with 4 layers in 6″ rounds. (This picture only shows the first 3. 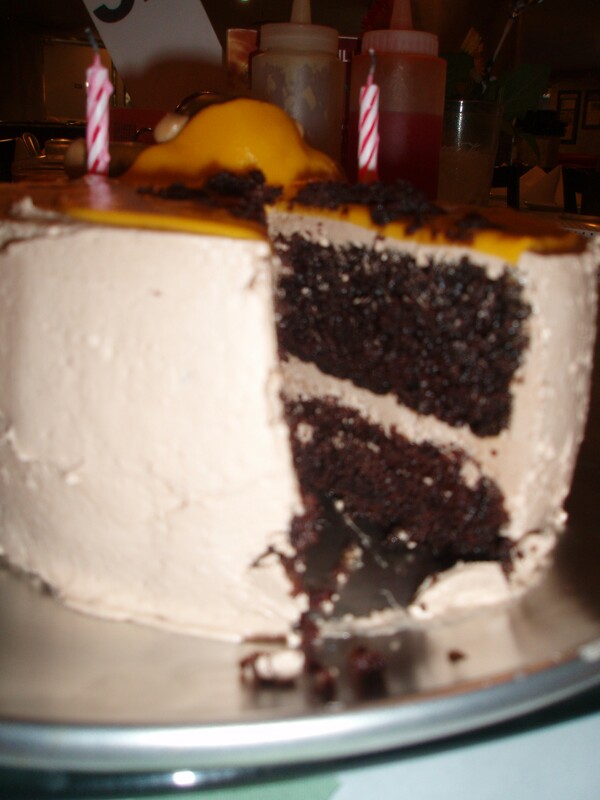 Covered in a nice layer of Nutella buttercream. 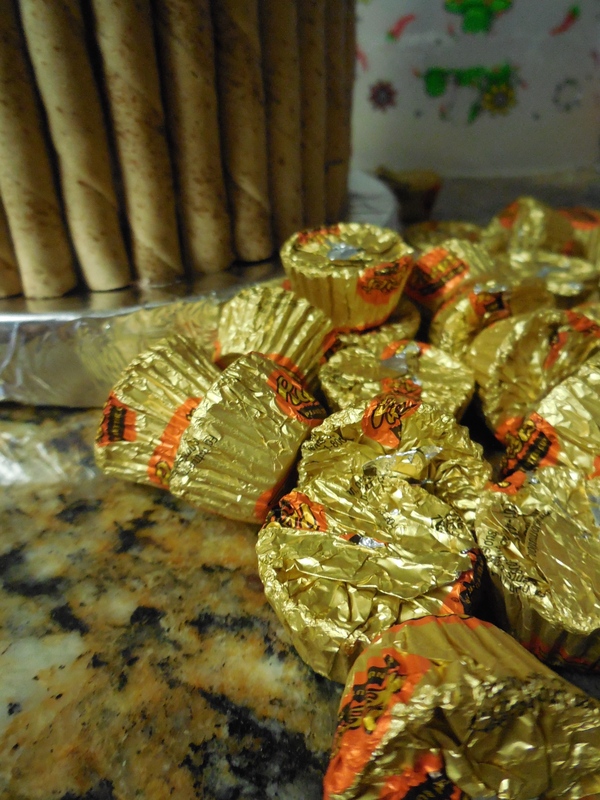 What shall we do with these Reese’s cups?! So many to unwrap! I filled the “cup” with all sorts of candies- Reese’s, Nips, and some white chocolate drops. I also think I snuck some chocolate covered biscuits in there. 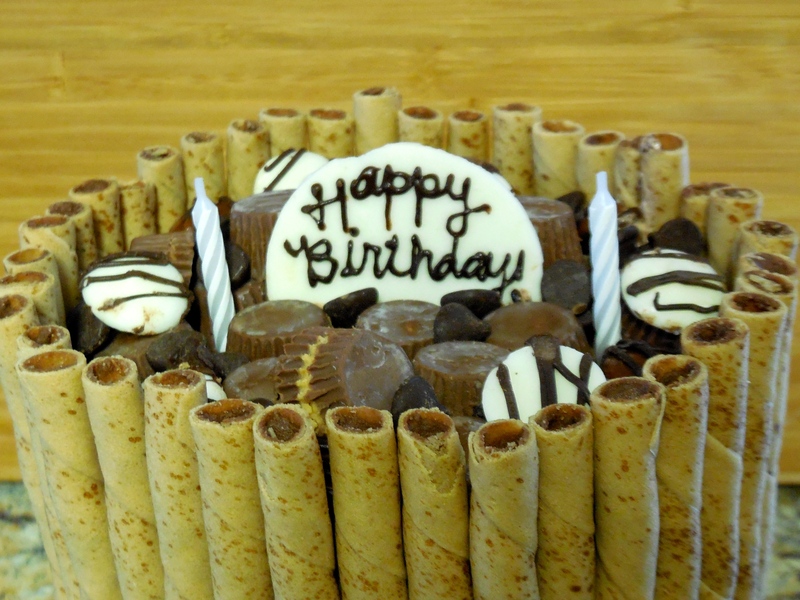 The “Happy Birthday” is just melted chocolate piped onto a small slab of white chocolate. We went out for Bri’s birthday dinner to a local burger joint. 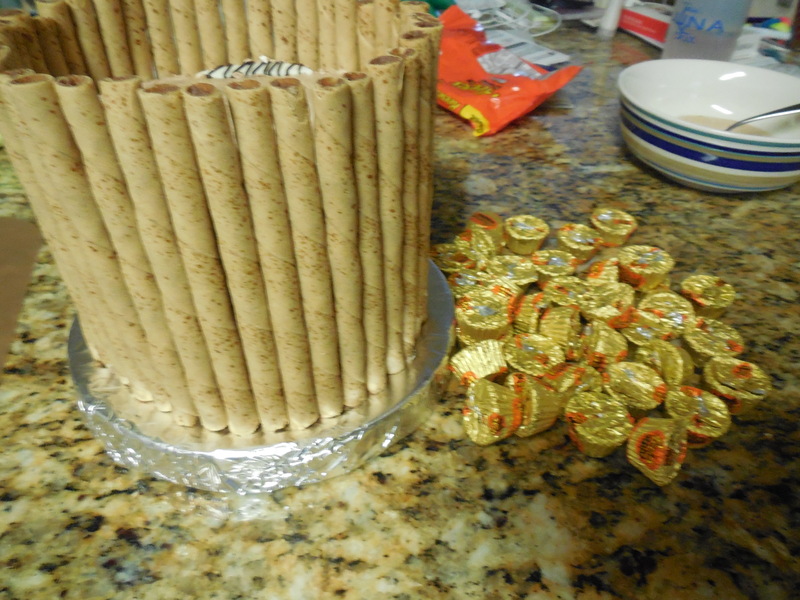 I was able to package the cake up sneakily and bring it in. Luckily they were really cool about helping us serve an outside cake in the restaurant! 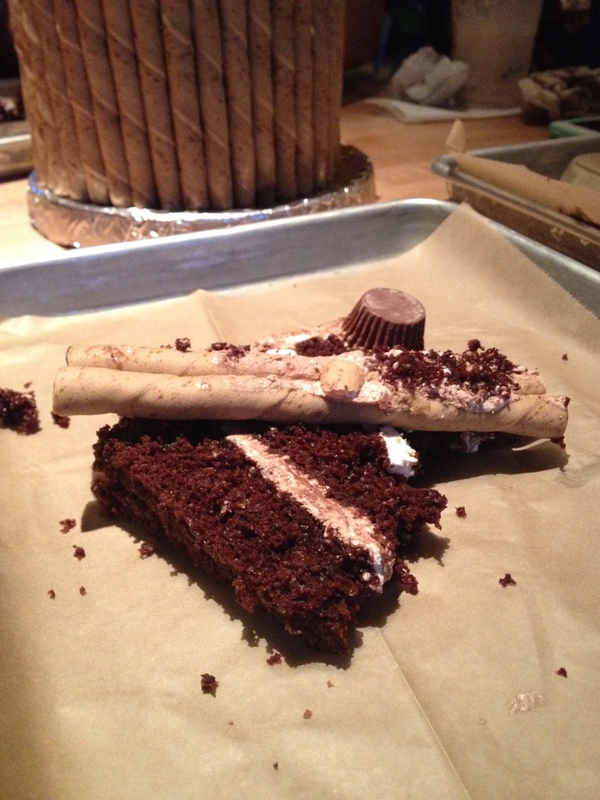 The servers even bargained for a slice. They also kept asking me if I got the idea on Pinterest. Um… not really? It’s not the most original idea but I’m pretty sure I didn’t see it on Pinterest. This, ladies and gents, is going to be a lonnng post. After being shown up with Lauren’s fabulous photos, and some feedback that process photos are just as good as the final product, I’m making a grandiose attempt to document this cake. Okay, enough, let’s get on with the show or this will be like reading War n’ Peace. 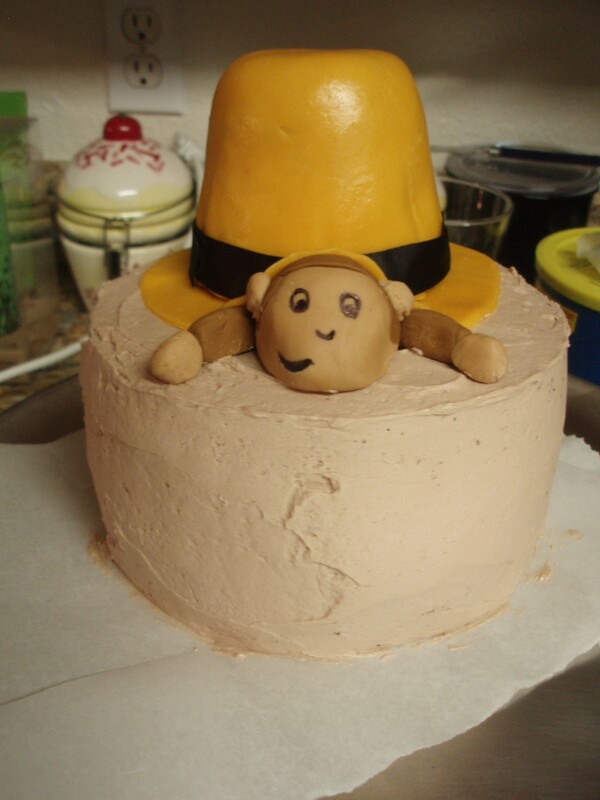 The “vision” was to do a Curious George hiding under the Yellow (Cheddar, will explain later) hat on a mini-cake, surrounded by a few accent cupcakes. 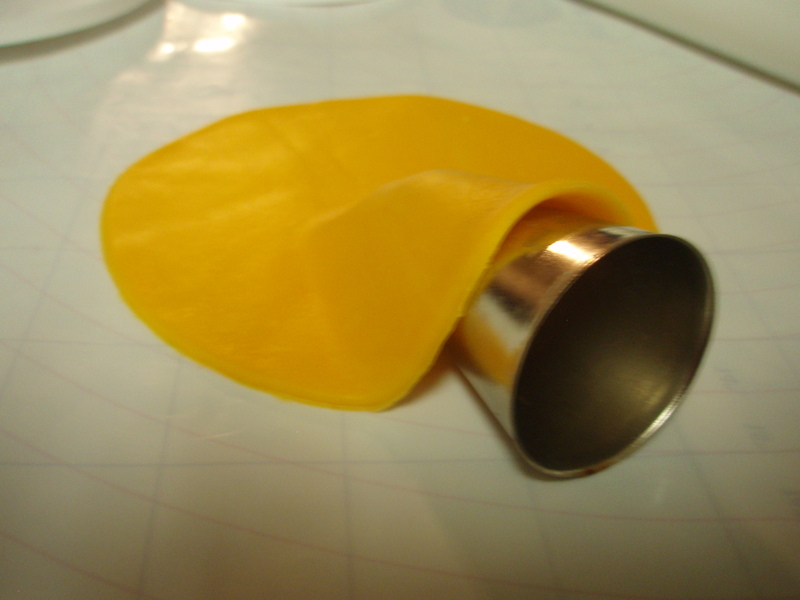 I then flipped them both upside down……Frosted and assembled them like a mini cake….. and covered it in the Cheddar fondant. See the ominous cheddar dot advancing…. Boom! Engulfed like macrophage annihilates microbial particles… uhhh nevermind. Break for the “cheddar” explanation: I was worried about the fondant not being “yellow” enough, and asked Meg for her opinion, as she was my designated taste tester and motivator. She’s pretty easy-going on the details, so she first said, “I’m sure it’s fine.” But when I held it out to her, she goes, “Oh… my…. it is looking a bit cheddar.” That cracked me up, and I decided to keep it. I got lots of cheese comments later at the dinner! 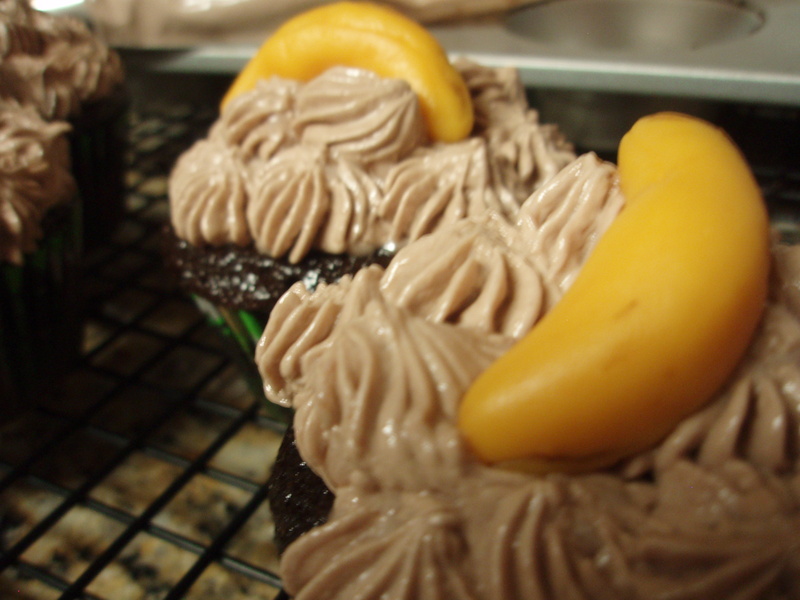 Did I mention that the flavor was chocolate with Nutella buttercream? 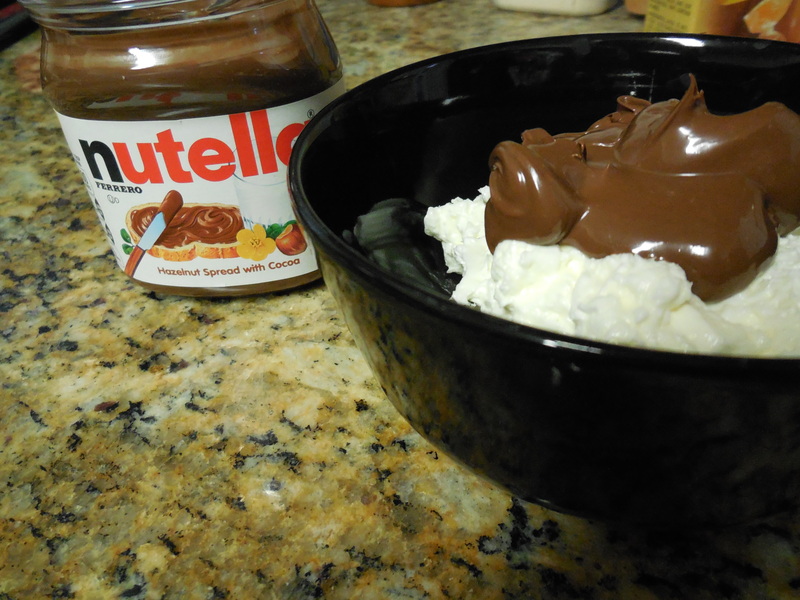 Bri loves the nutella, I was just hoping no one was allergic to nuts! nom nom nom…. 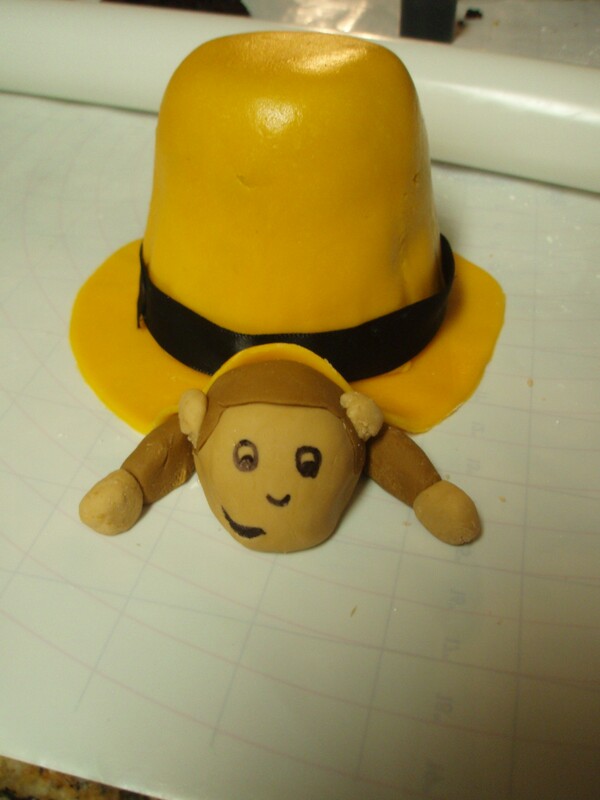 Here is the making of the brim of the yellow hat. 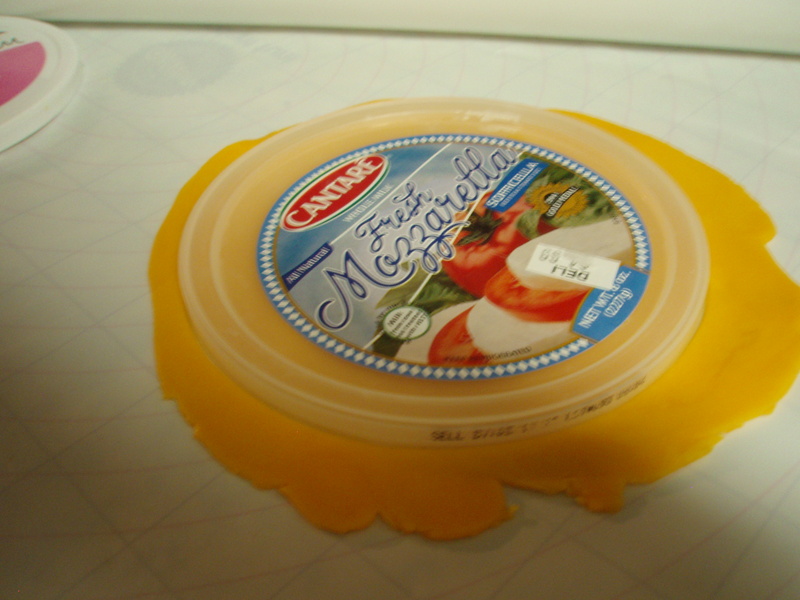 I knew that I’d be happy that I saved the plastic lid to that cheese tub! Perfect diameter and sharp edge resembling a cookie cutter. Holding the place for Mr. George to tuck his mischievous face! Found it! I cheated at this part, it’s actually permanent marker, but who’s barbaric enough to want to nosh on the monkey head?! 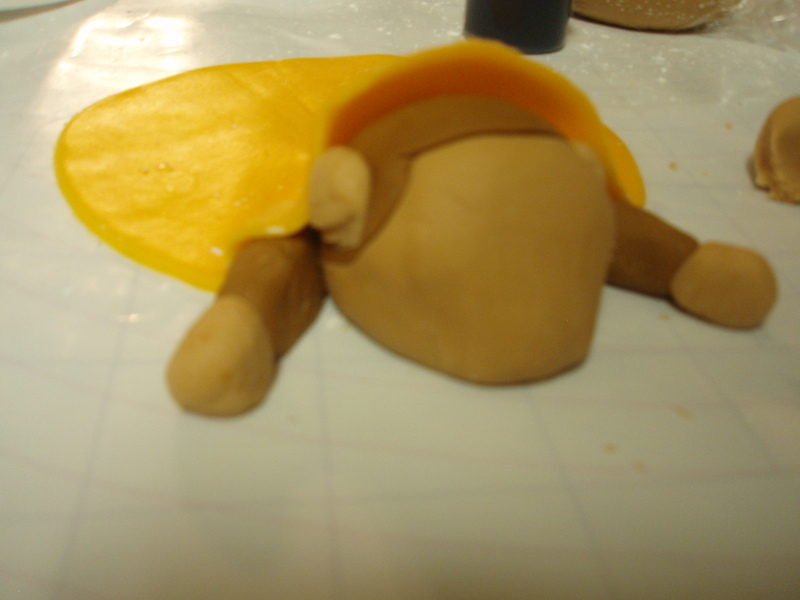 Set atop the cake, he looks pretty content and chillin’. What are these? 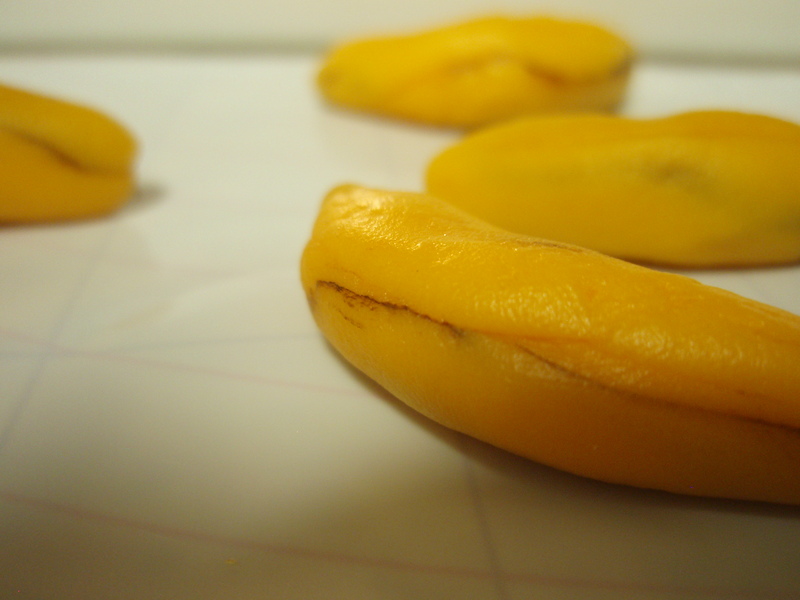 What is a monkey who doesn’t like bananas! 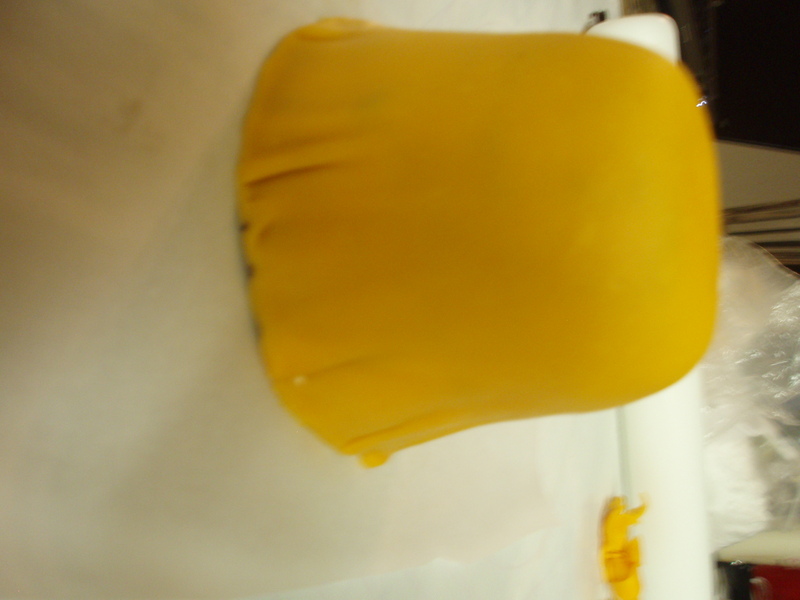 (Modeled with cheddar fondant and a little brown food coloring streaked and gently kneaded into them)…. 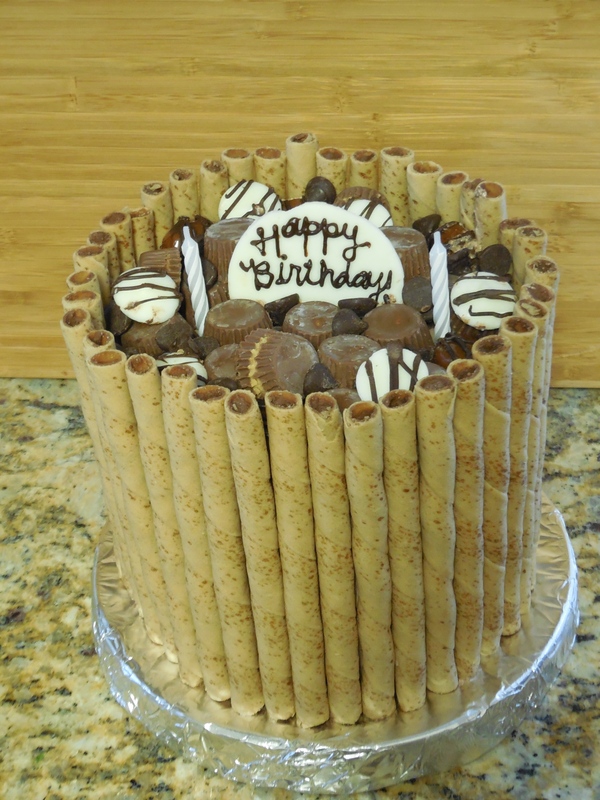 Let’s not forget the reason for the cake! 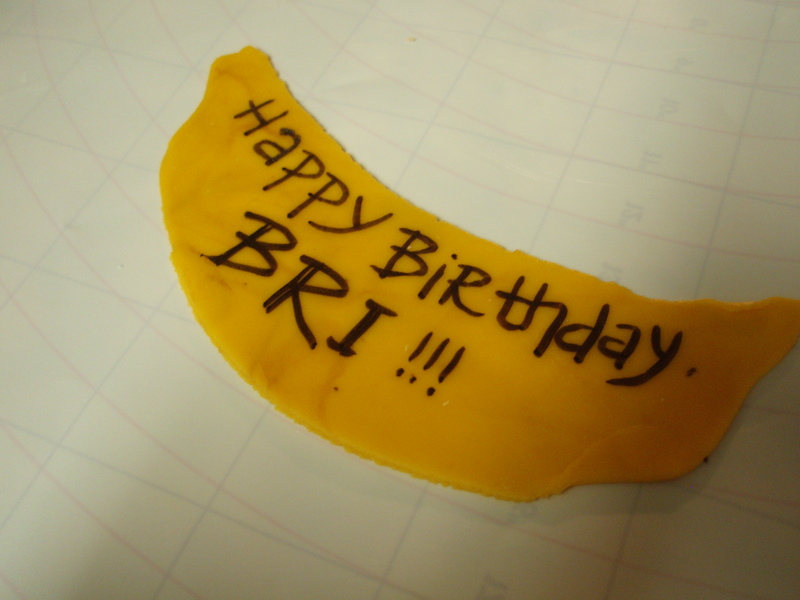 A little extra fondant, flattened into a banana banner, and pegged with some inedible permanent marker (sorry, laziness began to settle in at this point). Phew! Put it all together and….. Ta Da!